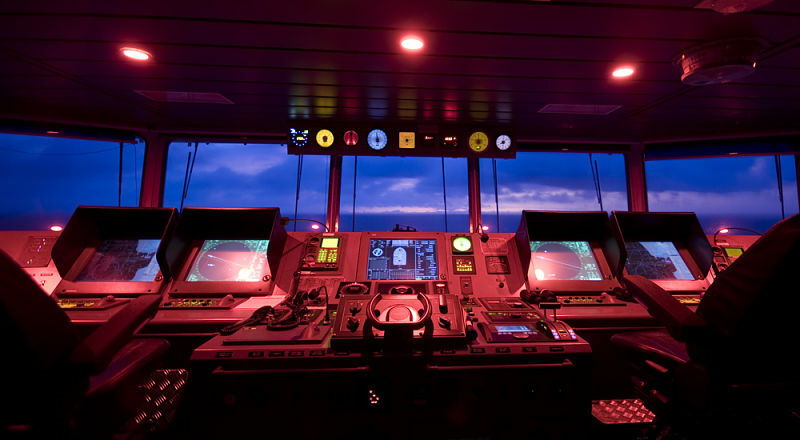 Many believe ECDIS has changed the way we navigate our ships. Rightly so, after all we see our ship all the times on the chart. No more worries of plotting the ship’s position manually and no chances of human error in plotting the positions on paper chart. But there are many of us, who do not still agree with this. They argue that shrinking the width and height of paper chart to a 21 inch screen can bring too many confusions. They also argue that ECDIS should not be primary means of navigation till the time all ambiguities are eliminated and procedures streamlined. Which side do you see yourself ? 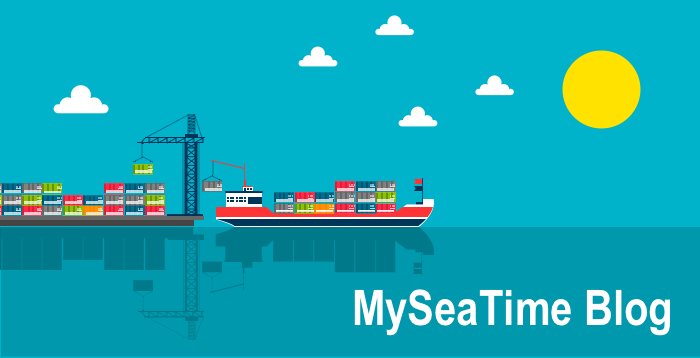 In this post I am trying to streamline some of the procedures related to ECDIS. The correct approach is comparison with the paper chart. After all that is what ECDIS is replacing. I believe if everyone deal with ECDIS with that approach, it will just be a cake walk. So What all things we can do on paper charts? If we know how to do each of this on ECDIS, we know most about ECDIS. We keep the charts corrected upto latest notices to mariners. Do you know how to do all this on ECDIS and with ENCs ? If yes, you can consider yourself trained in the practical use of ECDIS. But as the ECDIS is still evolving, you should keep your arms open for new updates and not be complacent. There are hundreds of makers for ECDIS, each having different procedures, menu and layouts. However the basics of the operations are same with all of these. I will demonstrate using JRC ECDIS and Chartco but the basic procedures will be same for other makes of ECDIS. In ECDIS the charts are called ENCs or cells and the charts number as cell number. In paper chart we receive charts, in ECDIS we receive cell permit. It is important to note that there is no co-relation between chart number and cell permit. I mean the boundaries or the area covered in paper chart do not necessarily correspond to a particular cell number or ENC. I am sure almost all ships use some of the chart management system. These have become a kind of norms nowdays. The most common chart management system are ChartCo and Digitrace. I will use chartco and JRC ECDIS to discuss the cell ordering procedure and chart corrections for ECDIS. If you have been working with chartco for ordering/managing your paper charts folios, you would most likely know how to do this for ENCs. Let’s say you are at Al-Jubail in Saudi and next voyage is to Mumbai (India). How to know what all charts you have and what all you need to order. To do this in the chartco, go to Start-Main Menu and click on Route and Passage. Enter your departure port and Destination ports and click on calculate Route/Distance. This would give you the route from departure port to your destination. Now on the right hand column, under ENC/AVCS, check all type of charts one by one starting from Berthing, harbour and so on. Just in case you don’t know, charts on ECDIS are divided into five categories depending upon the scales. These categories are Berthing, Harbor, Coastal, General and overview. After checking each category, select the charts required in that category and which falls in your voyage. The chart can be selected by clicking on the chart area in the map. The selected chart will have yellow diagonal lines. But Why do i ask to start with berthing cells first. There is a reason for that. Below is the Image in which I have checked berthing, harbor and coastal charts at once. In the picture below can you guess how many charts I have selected ? Well while it might look like I have selected three charts but actually I have only selected one chart. The one covering bigger area. So if you don’t select first the berthing and then harbour charts in that order, there is a chance of you missing some charts. And then You will see an option of “Create order” at the bottom. Click on that. Follow the messages on the screen and create order. 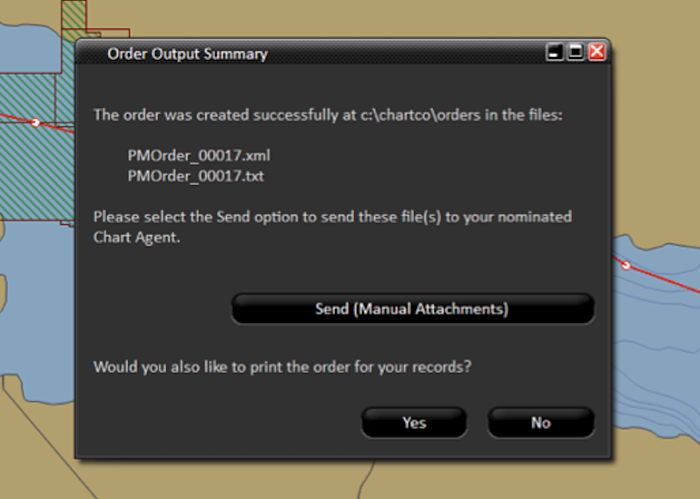 Finally you will see the below screen, which will give you the files to send to the chart provider. 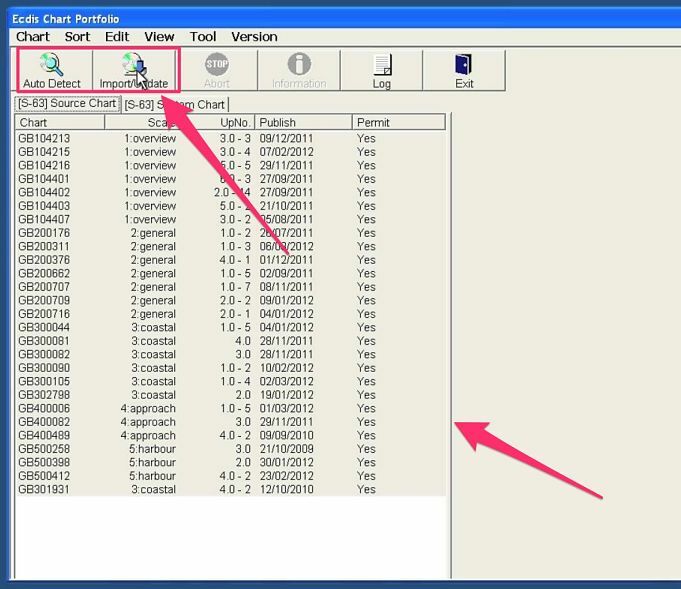 After you locate the order as per the message in above screen, you need to send these files to your chart provider. It all depends upon your company, if you can send the request directly or you need to send it to your company. Within a day, the chart provider will send the permit as an attachment for the ENCs you requested. The email and zipped attachment would look something like below. If you open this zipped attachment and then open permit folder located in this, you will find the files which need to be imported in the ECDIS. If you have two ECDIS and you had requested ENC for both, you will see two folder inside permit folder. These folder will be “MASTER” and “BACKUP”. You need to copy and import the files into corresponding ECDIS one by one. That is if you copy files from “Master” folder, you need to import these files in Master ECDIS. Then delete the files from the USB Drive and do same for Backup ECDIS. After you copy the cell permit in USB Drive, go to Application window on JRC ECDIS. Application window is displayed automatically when ECDIS is switched on. Otherwise you can access the application window by clicking exit on the top menu. 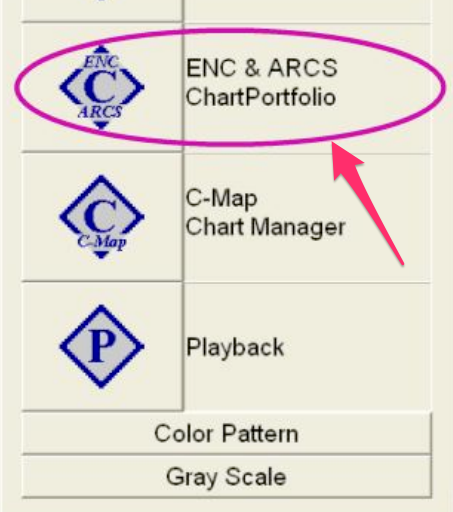 In the application Window, click on the “ENC and ARCS chart portfolio”. Plug in the USB drive containing the cell permits. In the application Window, click on the “ENC and ARCS chart portfolio”. 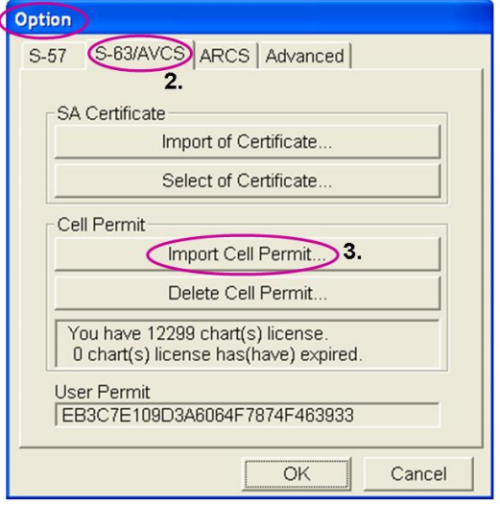 Go to Tools –> Options –> S63/AVCS and click on import cell permit. In the find file window that would be displayed, point to USB drive and select Permit.txt file and click OK.
After importing the cell permits, you will get a window displaying “Completed” message. After importing the cell permit, The ENC of the desired voyage would be available in the ECDIS. Do you know how to correct your charts on ECDIS (ENCs) for these corrections. If you know, well you have covered the correction part too. Just in case you don’t know, with Chartco and JRC ECDIS lets see how it is done. 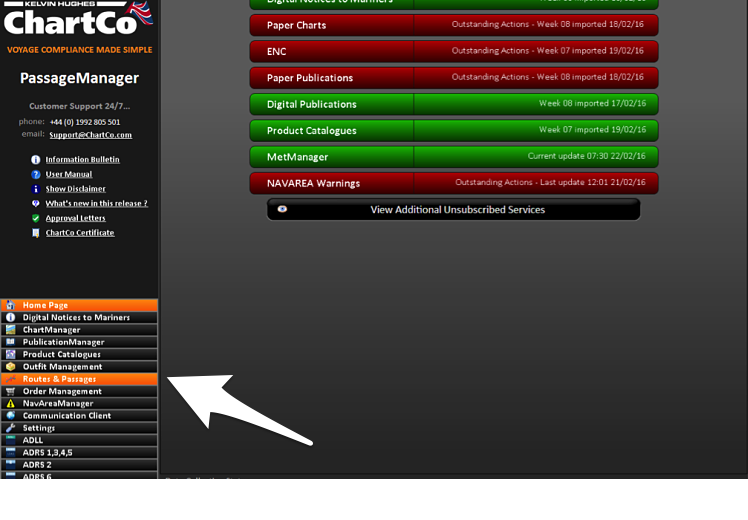 From start up-Menu (on the left bottom section in chartco), click on Corrections. Click on ENC (top bar) and corrections (Right side bar). This list will show you the pending corrections to your active cells. Click on the “Collect and transfer to ECDIS” at the bottom of the screen. On the pop up, ensure that both Master as well as Back up is selected and then click on “Write to Media”. This will write all the corrections in a pre-specified folder. This folder is usually located in C:/Chartco/Corrections but could be specified differently during chartco set up. In any case, on clicking the ‘Write to media” chartco will give the destination of the folder where corrections are transferred. If you see in above image there is an option of “Confirm as applied”. After you have applied to the correction to ENCs on ECDIS, which we will discuss below, you need to come to this screen again and click “Confirm as applied”. 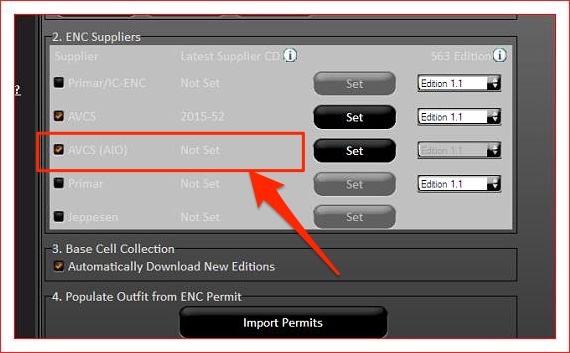 To apply these corrections to ECDIS, Copy these corrections onto USB drive (or CD). Again if you have two ECDIS you will see different folder for both ECDIS named Master and back up. 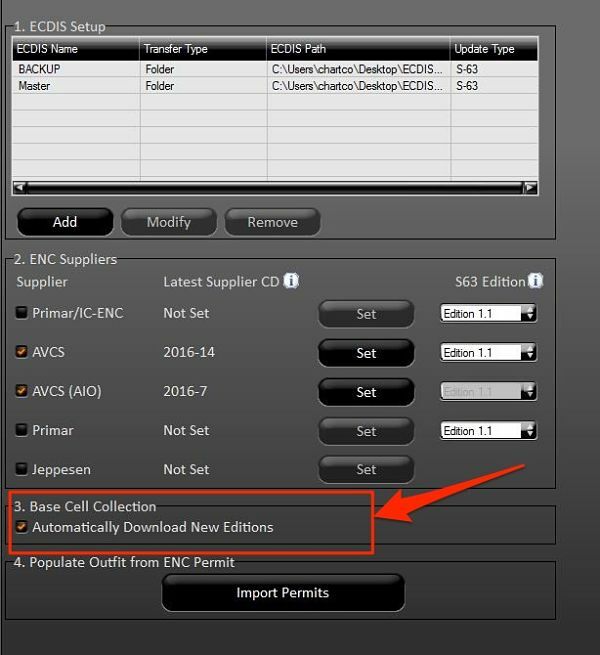 You need to copy content of one folder at a time and apply the corrections to the corresponding ECDIS. In the application Window, click on the “ENC and ARCS chart portfolio”. Plug in the USB drive containing the corrections. Click Auto Detect. With this You will see all the pending corrections. On clicking Auto detect you may get a message “Please select media type”. In this case go to tools -> options -> Advanced options and then select the location of USB drive (or CD drive) depending upon the media on which you have copied the corrections. Then again click the Auto detect tab. This will show you the corrections. Now to apply the corrections, click on the “Import/Update” tab. This will apply all the permanent corrections to ENCs on your ECDIS. You need to repeat this procedure on other ECDIS. But for that you need to delete the data from the USB Drive and copy the data from the corresponding folder of chartco. After applying the corrections, you need to click on log to see if there was any error while importing the corrections. Or if all the corrections were imported into the ECDIS. Any error in the log must be dealt with. In dealing with any error, you must exploit the tons of resources available to you. These resources can be support from chartco, chart provider, ECDIS manual, UKHO website or your company’s marine department. After you have applied these correction, you need to go to Chartco and click on “Confirm as applied” as discussed earlier in this post. It is important that you collect the correction, apply the corrections to ECDIS and confirm same in Chartco within few minutes of one another. This will ensure that when you confirm in chartco of the correction applied, you do not inadvertently confirm the new correction received which were not actually collected and applied. Apart from getting corrections from Chartco or digitrace every week, you will also get AVCS CDs or DVDs (or both) from your chart supplier. If you receive only CDs, you would most likely have 9 Base CDs and one or two update CDs. If you receive only DVDs, you would most likely have two DVDs. DVDs contains all the base cells as well as the update for those base cells. There is no different DVD for base cells. If your ECDIS has only CD drive, off course you only can use CDs for correction. But if your ECDIS have DVD drive, you can use either CD set or DVD sets for corrections but not both. If using CDs you need to insert first base cells CD starting from base cell 1 and so on. After updating the base cells, you need to insert the updates CD to update the corrections. These corrections are cumulative. That mean if you have two sets one for week 04/2016 and other for week 07/2016. In this case you only need to update with the latest one only. But why do we need to update these DVDs if we are correcting our ENCs through weekly corrections from Chartco or Digitrace. There are two reasons. First base cells needs to be updated continuously. These updates are heavy and cannot get in entirety from chartco, though we can download the base cell for a particular ENC if required. 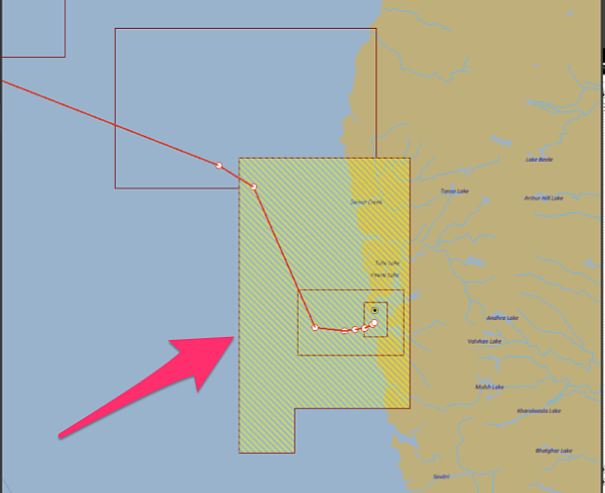 This off course would be only possible if your Chartco computer has direct access to internet. Second reason for using these CD or DVD for correction is as a reset point for the correction. Your ECDIS may have skipped importing some corrections for any reason. As we already discussed you will get the error in the ECDIS log but nonetheless there can be some cells which refuse to accept corrections. Moreover you or previous staff might have inadvertently confirm some corrections as applied in Chartco which were not actually applied. Updates from these CDs or DVDs acts as a reset point for all the corrections. Procedure of applying the correction from AVCS CD/DVD is same as with USB drive. After the corrections are applied, you need to tell chartco also about the updates. For this, insert the CD or DVD in chartco computer. Then on the Home page of chartco, go to ENC and then click set up. 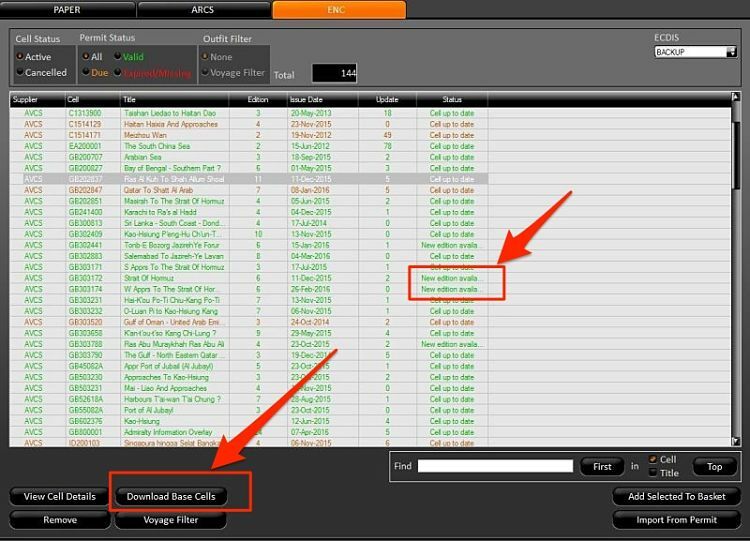 Under “ENC Suppliers” click on “Set” for AVCS and follow the screen messages to confirm that you applied the latest CD/DVD on your ECDIS. If you don’t already know, you will be surprised that for many ENCs you still need to do T&P corrections manually. Displaying T&P corrections on ECDIS was a challenge for UKHO and they managed this with AIO. AIO refer to Admiralty Information overlay. In simple terms, it is an ENC layer which contains T&P corrections of all the charts (ENCs). This layer is super imposed on the ENCs to display the T&Ps. Irony is, that not all countries has yet mirrored their T&P correction in ENCs. 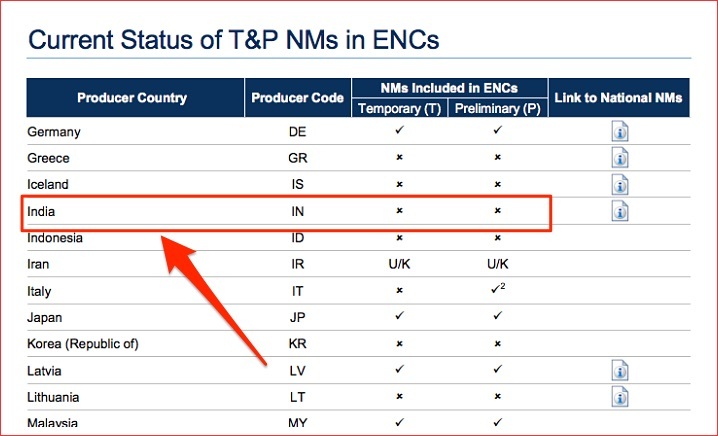 So for the countries that do not issue ENC T&Ps in AIO, you need to plot the T&Ps manually on the ENCs issued by these countries. To know which countries issue or do not issue the T&Ps for ENC as AIO, you can click here. If you see the list, India does not issue T&Ps for ENCs. So for any ENC issued by Indian Hydrographic office, you need to plot the T&Ps manually from paper T&Ps. Which country has issued a particular ENC can be identified by two prefixed letters of the ENC number. For example the ENC number of the ENC issued by India would start with letters IN. 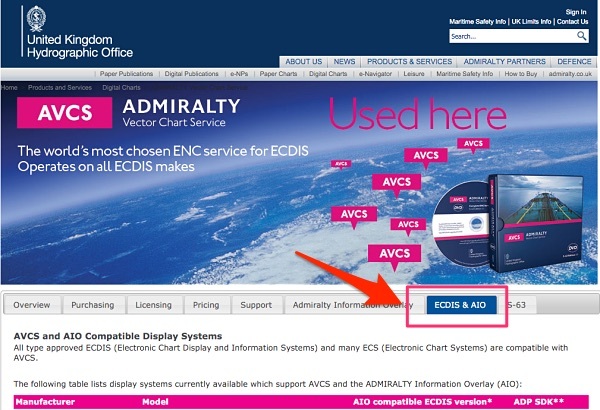 To check, go to AVCS in UKHO website and click on “ECDIS & AIO”. Check if Make / Model / Version of your ECDIS appears there. If it does, your ECDIS is compatible to show AIO. To check this on JRC ECIDS, exit the navigation window and go to application window. click on the “ENC and ARCS chart portfolio”. From top menu go to Sort -> AIO. Look in AIO Source charts and system charts, if any cells are available. If not, then the ECDIS has not been loaded with initial AIO data. Again you need to exploit the resources, in this case your chart provider. See below communication for example. On chartco, you can check if AIO information is being provided in the weekly corrections. To check this, on the Home page go to ENC and then click set up. 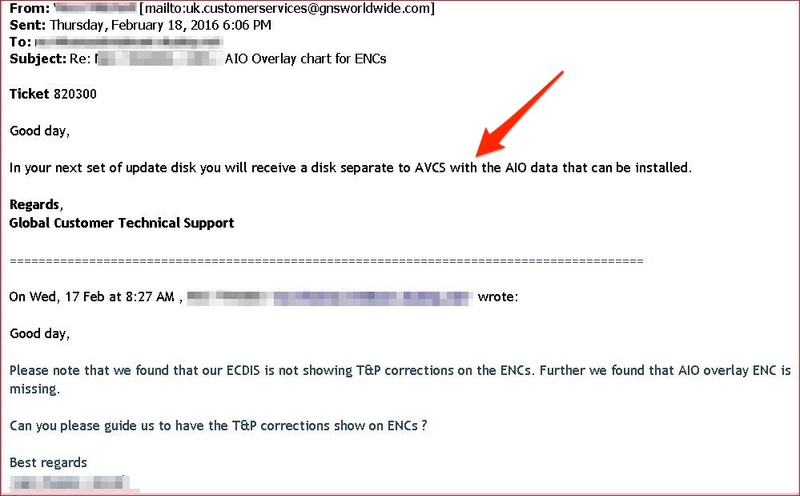 Under “ENC Suppliers” check if AVCS (AIO) is set up. If it is not set up, you need to do so with the CD received from the ENC supplier. To understand why you can get this, lets first discuss what are base cells. In simple words base cells are the actual electronic charts (ENCs). When we receive permit for ENCs, the permit contains key to open ENCs (base cell) which are locked. But the ENCs are already there in your ECDIS as base cells. A base cell becomes an ENC when some security features (IHO system key) are added to it. And that is the main difference too. Again lets understand this by comparing ENCs with paper charts. Paper charts gets new editions. Similarly ENCs can get new editions where old ENCs are repleced by same ENCs but with new editions. Also as we sometimes get new paper charts, there can be new ENCs which are produced. How do we get these new ENCs or new edition of ENCs. We get these from the updates to base cells. We can get the updates via CDs or DVDs. We need to apply these base CDs to the ECDIS to update the base cells to the latest one. Do we need to apply the base cell CD each time a new permit is received ? Absolutely not. If you were able to import a permit successfully, you do not need to apply base CD again. Similar is the case while applying the weekly updates from the chartco. In this case, run latest base CDs or the base DVD even if you had previously run it on receipt. Try to import the permit again. If you still cannot import the permit, you can get this particular base cell from the chartco. To get this from chartco, from the start menu click on chart manager or from home page click on ENC. You can choose the cell required and click on “Download Base Cells”. Next import from the charts, you will receive the base cell. 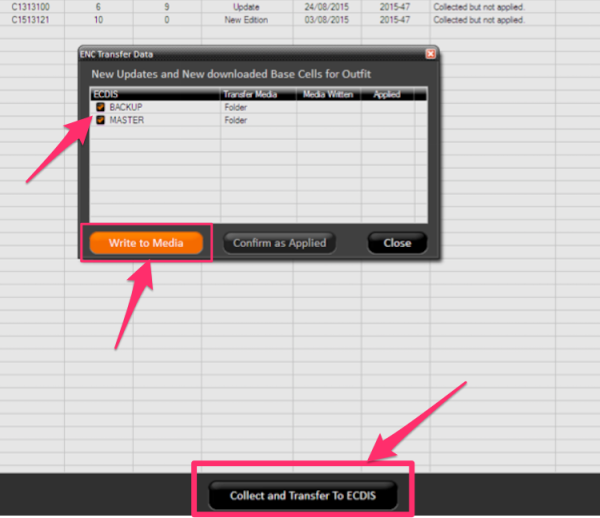 Alternatively in the chartco you can set the automatic downloads of the new base cells. This can be done by going to the SET UP section of ENC in chartco. Even when you download the base cells from the chartco, we need to run the base cell CDs or DVD in the ECDIS. This is because this acts as the reset point in case we have missed a base cell update. Someone somewhere said, it is easier to find answers than finding questions. With regard to ECDIS, if we know our questions, the answers just need you finding it. In order to find what we are looking in ECDIS, the approach of comparing it with procedures adopted for paper charts could be the best approach. For example our approach to enable us to perform each activity of paper chart like permanent and T&P correction on ECDIS can leave less areas unexplored. With ECDIS already mandatory on many ships, it is the time that we understand every aspect of implementation of ECDIS onboard. Info was helpful to a great extent. Thank you for reading Tema..
Capt. Rajeev small update to post , i suggest after explaining of importing Cell Permits into ECDIS should be immediately explained loading of BaseCD into ECDIS and importing charts for required permits. Thanks. I think that is required in Furuno ecdis and not on JRC.. 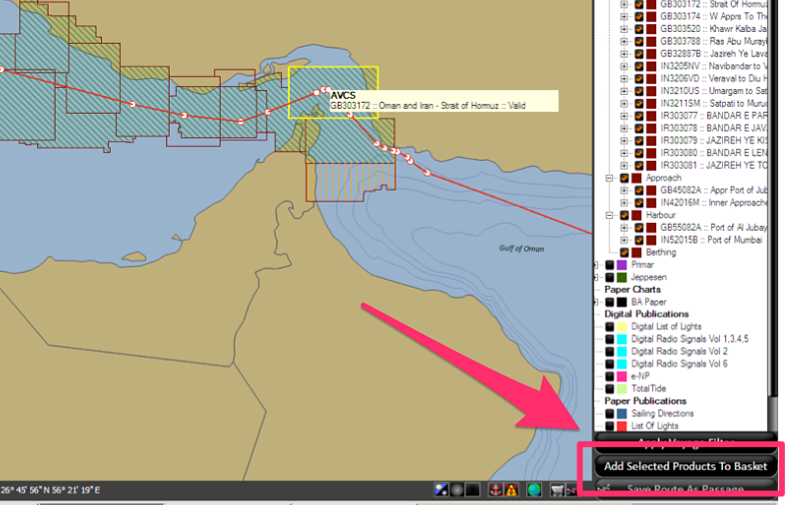 In JRC ECDIS if any base cell is missing, it will show in the log when uploading the permit. Happy to hear that AMIT.. Very good knowledge in ur website. Hi! I was looking for GMDSS test procedures and found your amazing article. Good job, Cap! All other info is also great. But regarding ENC permits I'm not sure about: "After importing the cell permit, The ENC of the desired voyage would be available in the ECDIS." From my experience and particularly with JRC after installing all required permits you have to install all ENC again so that ECDIS could activate new ENCs. Hi Igor..Glad you liked the content.. Regarding Importing ENC on ECDIS.. I never faced the requirement to import it twice to have it viewed. 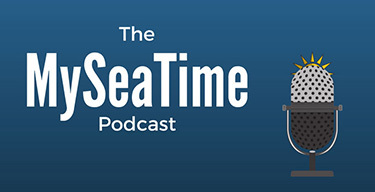 Can it be because of old software version of ECDIS that you might have ? May be other readers can highlight if they are facing similar thing. Very good information Sir. Thank you so much for sharing. I am Happy to help Imran... Let me know if you have any question. Hello Sir, very Much informative and i put a printed copy for other officers reference too. Sir could you please elaborate Regarding Base Cd's which contains Base cells as i understand. I want to know what are those Base Cells and why do we need to run these Base Cds. Second Sir,Once i have uploaded new permits for the voayge and do i need to run the Base Cds too thereafter. Thanks And Regards. Glad that it helped you Rana.. To answer your query would have been a long comment so I have included that now in the post itself (before conclusion in the post). I hope that answers your query.. Happy that it helped you Clive. Let me know if you have any question at any time. No Ashwani we cannot because each permit has the ID of the ECDIS to which it will be applicable. This is set by the ENC provider so that no one can use the same permit key multiple times. To certain extent it also brings some security in handling the ENC data. How can we find EN Charts from a given BA Chart No. for example I have BA Chart 2888 & 2889 how can I find equivalent EN Chart. Please advise. The simple answer is..We cannot find. Also the boundaries of a BA paper chart and EN chart (Cell) will in most cases be not same. That is if you find ENC that cover common area that of a BA chart, the ENC would most likely will not cover the exactly same area as the BA chart. ENCs are totally different from the BA paper charts. We are receiving permit file every week via email by UKHO. I want to know if we have to apply this permit every week to ECDIS before we apply the weekly update which we generate from chart correction software.Please advise. This file will be from your ENC provider and not from UKHO. This is the permits of all the ENC that are valid. So after applying this permit all your expired permits will be removed and only valid ENCs permit will be there in your ECDIS. Applying this permit has one advantage. When you apply weekly corrections from chart (after applying the permit), you will not get errors of ENC expired. Even if you do not apply this permit, the Valid ENC permit list is automatically updated when you ask for new permit and apply them upon receiving. Don't forget to delete the old permit before applying this permit. thanks for your above reply.So there is no harm if we do not apply permit every week is that correct? We will apply only once we order new ENC cell.will it be ok? On the contrary I would say, there is no harm in applying these. If you do not apply you have to waste your time in sorting out the errors that you will get when you apply weekly corrections from chartco. 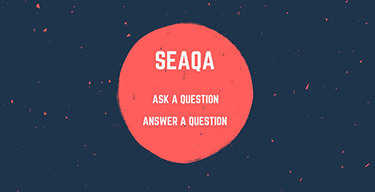 Applying the weekly permit you receive takes only few seconds and will save your time. Needless to say it will keep your ENC licenses update. But even if you do not apply, there is no issue. Second thing i want to know suppose for example at sea we are updating ECDIS weekly through chart correction software and the latest weekly update we applied is 30/2016 .After applying this correction vessel arrives in port where we receive AVCS DVD for 29/2016.So in this case do we need to update our base cells or not.If yes , then after applying this DVD do we need to update again the correction for 30/2016? No.. after updating with the DVD, it will not remove the latest correction so no need to apply again. Thanks for your above reply.As per the things u discussed above about the ECDIS , you mentioned that DVD(Base cells) is used to update base cells same like as we receive any new edition of paper chart.So in the case of paper chart, we apply all weekly corrections after new edition of that chart was issued.What about in case of ECDIS then? Mukesh, we can keep it simple. We apply the DVD on ECDIS. Then we apply the DVD on chartco. Then we go to pending corrections in chartco. If chartco shows any pending corrections, we will collect these and apply to ECIDS. If it does not show any pending corrections, we do not apply. Thanks for your above reply. I have one doubt sir , suppose we update our ecdis weekly by applying permit and then weekly update and it is updated till 32/16 and the latest DVD which was inserted was of 26/16. After applying weekly update of 32/16 , vessel arrives in port and we receive DVD for 31/16. So now we will insert the DVD without putting the permit or first permit for 31/16 and then DVD. 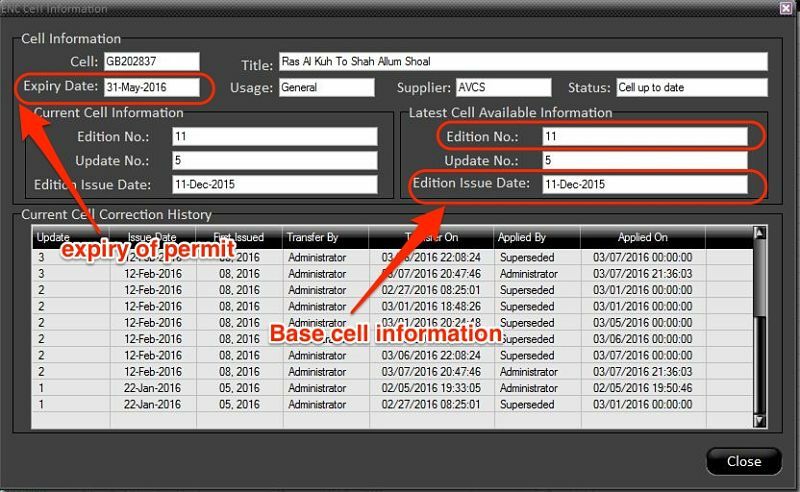 Hello Mukesh...DVD has corrections for all the cells (for the one you have permit and also for the one you do not have permit) and all the base cells, not only for the cells for which you have permit. So DVD has nothing to do with the permit. In short, DVD has all the corrections to that date and all the base cells to that date. When applying the DVD, you do not need to apply the weekly permit file that you receive every week. Weekly permit only required when you apply corrections to only the cells for which you have valid permits (collected through chartco). Bart.. As I said after applying the base DVD to the ECDIS and then to the chartco, If chartco shows some pending corrections, we need to apply that. If not, then there is nothing to be applied. Regarding applying the base DVD, it is very very important to apply the base DVD. If someone from UKHO told not to apply, he may have misunderstood your question. If you have the content of that email, grateful if you can email me that. Thank You for response Cpt. Rajeev, I share your opinion that Base DVD should be loaded. Maybe as you said I did not make myself clear enough when sending my query. Unfortunately I have no access to this correspondence anymore. Thanks again for all the information in the article. Glad you found it useful Vijeesh..
Harvey.. I have not worked on Furuno ECDIS but you should not hesitate to send emails to your ENC provider, correction provider (Chartco) or even Furuno through company about any error you may not be able to resolve. We sometimes hesitate to use these resources but there is no reason to hesitate. You have license or permit but you don't have ENC.. Insert your latest based DVD and check if your public key is the latest public key. Good Day Capt : Thanks for the value information. I still have some issue which confuse me and I really need your assistance. . I use JRC ECDIS and Voyger planning station .. I have sent a requesion for the expired cell permits and I received as you mentioned above on a zipped file and tkt No. .. I've installed the permit but the matter is that the log shows that the license will be expired in less than 30 days whole I am doing the requestiion I put a period for six months and which confirm that is the schedule A . and do you have idea how can I update this permits on the planning station in order to keep my chart updates ?or it will be updated automatically via the usual weekly update ?and what about the tkt key for what shall I use it? pls can I keep in touch with via Email ..Thanks a lot for you cooperation . I could make out these queries raised by you Eyad. 1) You ordered for 6 month license and ENC shows validity as 30 days. 2) How to update permits on voyage planning station. The issue of validity can easily be sorted out from your ENC provider by email but looks like either the permit was not installed correctly or the permit for this ENC was not included. Check the error log for the time you had installed this permit. Also you need to delete the previous permit before installing new one. Regarding voyage planning station, you need to tell it what all ENCs you have so as to give you the corrections for the ENCs. For that you need to apply the permit on this station too. GD, Capt. Jassal! Thank you for the most comprehensive post about updating ECDIS and ordering ENCs permits which can be found in the web! Maybe you can also give advice on procedure how to make ECDIS charts spot check, for instance ENC versus RNC? Thank you Vitaly. Spot checks on ECDIS will be a very good topic to write upon and I will very soon write on that. good day cptain. sir, i have been following your blogs and it has helped me in many ways. i have a request. so far i have worked on ships with short routes, i have not experienced any long ocean voyages yet. it would be really helpful if you write on a topic that discusses passage plan including ocean voyages; that includes GC track and explain how to plan a route on the ecdis. also do we have to consider weather routeing while procuring charts? thank you in advance. Glad you are liking the articles Paromita.. I will write on planning a passage from scratch. Glad you found it useful Babu.. Though I never had my hands on full automatic system but I guess there is no human intervention required on these. thank u sir. this article was always in ma mind, meaning, such article prepared by comparing the paper chart and ENC. its really an illustrative. as im a 2ndmate i have got clear view which i had some ambiguity. Glad you liked it Tsegay..
A grea easy to follow tutorial. I am going for my Chief Mates soon and this has been very helpful as I haven't sailed as Chart Maintenance Officer. Many thanks! Glad this could be of some help to you James..
Sir its a great online help for those looking in detailed information regarding ecdis. Sir i hve new ecdis installed onboard. i hve understood that how to order chart permits but i dont know about the Base CDs .when we require to install base cds. Please explain Sir . Hope it would also be helpful for others. You will be receiving base CDs every month or so. Whenever we receive this CD we need to apply this to ECDIS. Also if you have many pending base CDs you need to apply only the latest one. Good day captain. We receive on board new version passage manager 6.0. After instalation louse all previous data, and our outfit is empty. How to make settings, insert valid permits in pass manager, and make in that way that we receive direct update throw the Internet? Thnks in advance..
You have to refer to the passage manager's set up instructions for setting it up. They have a very prompt customer support and you should make full use of it if you get stuck somewhere. Once it is set up, you need to import the latest permit file to the passage manager to let it know which all permits you have. After that we need to apply the last correction and base CD/DVD we received to the passage manager. Thanks Kartik for this wonderful insight. I want to add one point to this.. We have to look into the SMS manual to ensure that corrections collected manually through UKHO websites are allowed. Many company does not allow the ship staff to collect these corrections. Even when these are requires, these need to be collected by the marine superintendent, who will pass this to the vessel. Prasad.. I have not worked with Navtor. You will not find this information in Furuno manual. You should email Navtor about this for the procedure to order permits. I know there are two ways to order permit. One is "route based" and second by cell number. I am not sure what plan your company has taken for your ship. But email Navtor will solve your problem. Thank you for reading Joseph..
Good day sir. I have question about my JRC ECDIS onboard and this is my first time to use this kind of Ecdis. First question is, I have my ENC charts expired from Ecdis and i already deleted those expired charts but if I click Tool then Option then s-63/AVCS, I found a message saying " You have 2500 chart(s). 1120 chart(s) license has (have) expired". But I delete already those expired charts. Please advise. I think you need to update the cell inventory in the ECDIS. Your ENC provider most likely send this as a permit file by email every week. Let me know if this helped. Thank you for the reply sir. One more thing sir, Do i need a base CD for installing a new permits on JRC ECDIS? For info. i used to order ENC chart with Navtor online. No..Base CD is not required for installing a new permit..
Amazing explanation Capt., fantastic narratives, like an intriguing presentation. I'm a 3rd mate about to take on the next roll, I've read the 'using AVCS with JRC ECDIS' guide, generated some doubts: 1. ECDIS itself contains cells initially? If a brand new ECDIS, after loading the latest base CDs, all locked cells are loaded into ECDIS? or should I say, after loading the latest base CDs, all locked cells are 'floating' inside ECDIS which means they doesn't occupy capacity of the disk, only after loading the permits for desired route, corresponding cells 'fall into places' and occupy the disk capacity. 2. what's the difference between 'deleting ENC data' and 'ENC permits', ENC and permit can only come and go together or they can survive without each other? 3. what exactly is public key-IHO.CRT? it should be installed every time before chart correction or AIO correction or else? 4. what is S-57 and S-63 in plain words? and what's the difference between 'S-57 source/system chart' and 'S-63 source/system chart' ? 5. can you elaborate AIO update procedures as well? 1. You are right. We can say that all the charts (base cells) are already there in the ECDIS. It just require permit file to unlock it. 2) Deleting ENC permit just deletes the permit and not the base cells. It takes base cell + permit file to show the ENC on ECDIS 3) Public key-IHO CRT is for security. In simple language it detects if you are using the approved ENCs only and not some copied version which may not be good for navigation. It only need to be installed whenever a new version is released 4) S-57 and S-63 are the standard formats in which ENCs are built. Some ENCs may be built with S-57 standard and some with S-63 standard but both are IHO standards. All ECDIS equipments are made to read these ENCs made on these common standards 5) AIO update procedure is there in this blog but I will try to elaborate that in some future blog. hello sir.we have voyager software for chart maintenance.latest weekly permit received onboard is 03/2017.Latest DVD received was 51/2016.I extracted weekly update from voyager from 52/2016 to 03/2017.Weekly update is not getting updated in ECDIS. then i deleted all permits and cells from ECDIS and put latest permit and then i inserted DVD for 51/2016 , there were 51 cells that need updation.Then after that I applied weekly update from 52/2016 to 03/2017.But ECDIS is still showing that 51 cells need updation.When I put this weekly update from voyager in ECDIS it shows me that "insert base media 3 or browse for this date exchange set".can you please help me out.thanks. What is the make of ECDIS ? When you apply the weekly correction, do it show some error ? Check the progress log. If any error, send the message to voyager mentioning that error. Good Day Capt.Rajeev Recently incountered with problem regarding ECDIS.after normaly updating enc and quiting chart handler the ecdis screen become frozen along with audio alarm.after restarting the system with power button appear message "An unhandle error ocured and system will shutdown" "system hulted fatal error". ECDIS maker is Sperry Vision Master FT.Any solution from you will be very welcome.thanks in advance. Best regards. Hi Aleks, I have not worked on Sperry but in any case looks to be some equipment fault. You should get in touch with the maker of ECDIS. how came, you would see on chartco update preview, one base cell waiting to apply, while you have already collected the newly edited cell through internet. I am not sure how it works when we have ECDIS connected with internet but in any case for chartco to show same information that is in ECDIS, both need to be synchronised. Chartco need to have same inventory as in ECDIS. 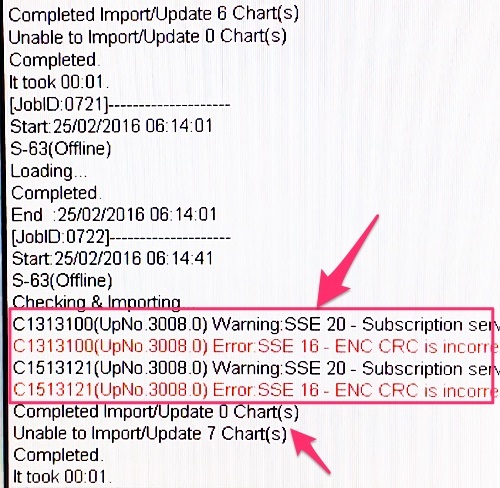 If there are some expired ENC showing in chartco, these will be removed when you apply the latest permit file to the ECDIS and chartco. The permit file is usually received weekly from the ENC provider via email. As due ENC cells are still valid, these will not (& should not be removed). If for some reason this is required to be removed, we can get in touch ENC provider and ask them to update the inventory by removing these cells. They will remove these cells and send the updated permit file. This permit file when applied to chartco and ECDIS will not have the due ENC. Let me know if you find any other information on this. Good day Sir. Do you know what is the name of the number in cell. ex GB302887. I know the first 2 letters is country code. The 302887 is the cell number by which the cell is identified along with the country code GB. In chartco computer, go to My computer -> C drive -> Chartco -> archive -> Passage Manager -> ENC -> Processed. These are the previous updates and one or more of these are not applied. Copy and shift the ones you think may not have been applied to the folder where you get the updated after collecting from Chartco. Collect these in USB and apply to ECDIS. Let me know if this worked. Thank you Sir though i didnt get the part copy and shifting. . .. Sorry for being unclear there. If you have located the files under "Processed" as per my above comment, you would note that these are the previous updates. So say if you were getting non sequential update error when applying week 15, then from the above folder, copy week 14 updates and apply to ECDIS. IF still you have same error. Copy week 13 and so on until you do not get non sequential update error. After that apply each week update by copying the update file from this folder. I hope I was able to lay it down clearly this time. If not, do not hesitate to comment here. Good day Sir, thank you very much for elaborating things. Follow.up question Sir.. As per ur above example, where wud i get the previous wk 13 updates if it has been already 'confirmed and applied' on chartco and with regards to the files in 'processed' the files there are '.upd' files...is that what i need to copy and apply into the ecdis, Sir? Thank you Sir. 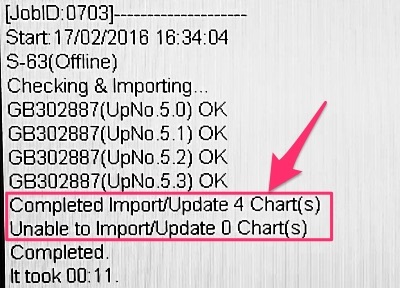 Yes, we can skip these but If I am not wrong, the new version of Chartco does not allow now to proceed for corrections without downloading the base cells. Can you tell me how i can find all list for t&p corr in ecdis c map software as we can find that in paper chart by list and enforce and canceled ? Hello sir , I hope you are doing good. 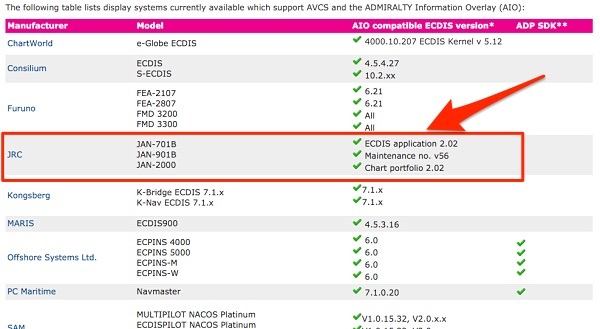 I had one doubt , we have Chartco software & Kelvin hughes ECDIS onboard.Latest available DVD is 05/2017 which was applied on ECDIS & chartco as well.Now there are some permits expired end of april.Ecdis was updated till 15/2017.Latest permit received is of 18/2017.now if i remove the old permits from chartco & insert the latest permit(i.e , 18/2017) the pending corrections in chartco will be cumulative or not.will it update the ECDIS upto date ? awaiting your response.thanks in advance. Hello Capt. i have an urgent situation. Its about Sperry Marine Visionmaster. After installing the latest chart update dvd, we have lost data for 1 port. Permits are fine and no errors. However, my question, is it possible to override with an dvd older chart update. Namely, before the very last update were all charts fine. Sir, what is the difference between ENC and AVCS. Good day Captain, really appreciate all the efforts you have taken for assisting the seafaring community. Kindly care to clarify this doubt of mine. As mentioned earlier in one the replies you have mentioned that before applying a new permit the old permit has to be deleted. Later in another one of the replies it has been mentioned that on application of weekly permit file the old expired permits get removed automatically. Could you please clarify if this removal of expired permits needs to be done manually or happens automatically on applying the weekly permit file. Actually it depends on ECDIS make. In JRC we have to delete the permit before installing a new one. On Furnuo, it gets deleted automatically. The newer version of JRC ECDIS may not require it to be deleted. So we must check if it is required to be deleted on your ECDIS or not. I found your blog to be very informative and interesting. On similar lines you can also check out http://crbtech.in/Testing/guide-manual-support-testing/ which is also a very good blog on this very topic. Request you to continue writing on varied topics as we would like to read. very useful article sir ......... i have a request to make ....... pls if you can blog about the performance standards of Ecdis and Radar. 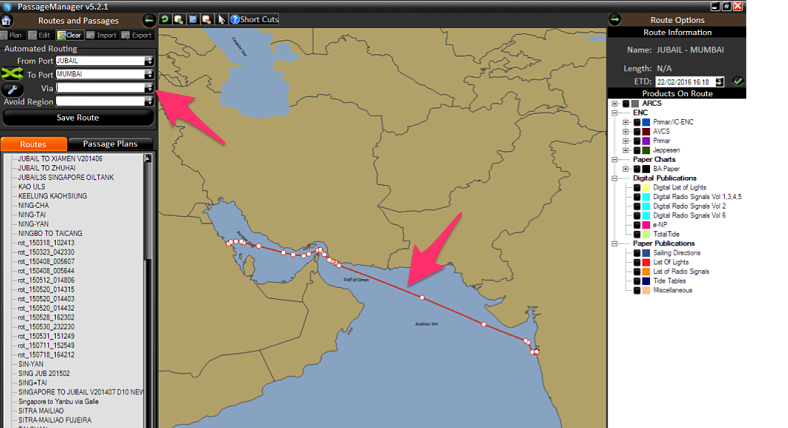 SIR, pls write a blog on Passage planning in ecdis, step wise.. If there are any official requirement that T&P have to be applied manually on ENC in case you dont have AIO support on ECDIS? The charts are required to be updated for permanent as well as T&P corrections. If T&P are not updated with AIO, we need to find a way to update these. I cannot think of any other way than updating it manually. Good day sir! I would like to ask that i have regarding permanent warning on our furuno 3000 ecdis - not up to date (sse 27). Weekly updates has been applied and yet all charts showing not up to date? What shall i do? Many thanks in advance. Dear Sir, AVC'S ENC have 5 category of charts. I want to know if I miss approch chart but that area already covered with another chart.In that case what problem I will face?I using the large covered area one and don't have the charts in between that chart. I don't face any problem. As I got zooming is not a problem in AVC'S ENC.Is it okay.If not please suggest me. Zooming may look OK but it may be missing with some vital information. We need to use large scale ENCs to navigate. For overview of the area, we need to have small scale ENCs too. Dear Sir, I can't locate GB301387, GB3013321, GB503306,GB303433 and GB303434 in Chart World Program. Rest of the charts i can search them but could not able to locate these. Please advise. Thank you very much Captain,,, God bless you!!! Hello sir ... Very good blogs .. how we will come to know that our ENC on ECIDS are updated ? What are the errors in Ecdis?? We need to check the log. If there is no errors, then the ENCs are update. Apart from that we need to randomly cross-check the ENC update number of few ENCs. information was very helpfull thanku. Capt sir, when we receive weekly permits, do we have to delete the permit in the jrc ecdis before loading the new permit file? In furuno, deleting is not necessary. Do i have to delete the previous permit in jrc? Can i not go directly to load permit? Yes. 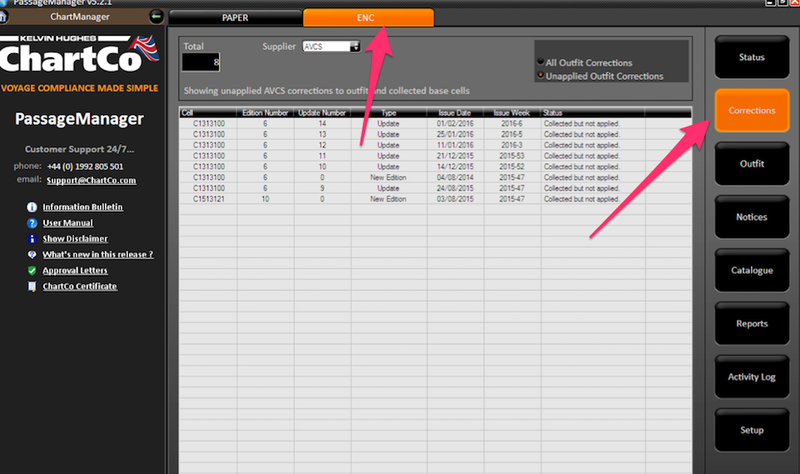 I have noticed on JRC ECDIS that if you do not delete the permit first, changes from new permits will not show up. So we need to delete the old permit from JRC ECDIS and then install new permit. Sir, information was worth a ton , can u shed some light on graphical testing of ecdis ? What it is meant for and how to do it? Dear sir, Thanks a lot for nice explanation on ecdis ins and out. Learn many thing from this topic. Thanks sir great help for freshers to work on ecdis we got many answers for our confusions but i have one question what about raster charts updation we have to do manually Or same will update with enc updation ? Wonderful blog sir, just to confirm. I have received permits for new ENC. What is exactly the correct procedure to apply them? (JRC JAN-901B). Do I have to: 1. delete old permit 2. Import new permit 3. Apply latest base CD 4. Apply latest weekly corrections OR 1. Just to import new permit? Sir Please confirm which procedure is correct becouse now I am little bit confused. Thank you in advance! Very well explained information sir. Good day Captain, Thank you for this very helpful article of yours. I have a question regarding how to find the t&p corrections on ecdis for countries that t&p's are included in their enc's. Thank you in advance sir. Sir, it is very informative thank you for sharing this. .
Hello sir I m having on-board transas navisailor 4000 . And sea passage software.. sir after I m updating weekly updates m still getting error chart information not upto date. Enc permits expired.but when I m checking in sea passage my enc permits are showing valid.